Reading builds a child’s vocabulary by introducing them to new words, allowing them to learn about the world around them. It’s very important that children have fun while reading, because if they enjoy it, they are more likely to become life-long readers. Here are a variety of ways to make reading fun. 1. Reading with dogs: There’s a new trend in literacy instruction that is having a very positive impact—reading to dogs! Reading to these calm, non-judgmental animals is a fantastic way for reluctant readers to gain confidence. Rather than the nerve-wracking prospect of reading in front of a whole class of peers, struggling readers have the opportunity to read to a friend who will always listen, never criticize, and is soft and furry to boot. Do you have a calm, gentle pet that is content to sit quietly for long periods of time? Cats and rabbits can work very well for this purpose too. It will improve your child’s confidence when reading aloud, and may just become one of their favorite pastimes. 2. Choosing the right books: The right books can make make reading fun. It’s important to choose books for your children that are appropriate to their age and reading level that involves subject matter interesting to them. 3. Follow the leader: Children love to repeat what adults say and do, so lead by example. Designate reading time for the whole family. 4. 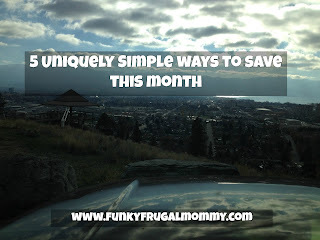 Reading everything: Have your child read instructions, cereal boxes, comics, kid-friendly websites, and street signs! It’s still reading, and helps them to realize that reading isn’t only with books. 5. 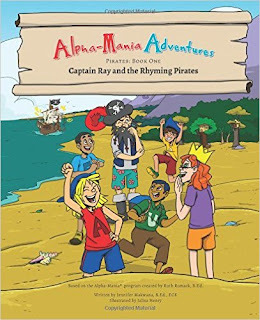 Play games with reading: You can create riddles for your child and send them on a treasure hunt. This is a fun and entertaining way for them to practice their reading skills without even realizing what they are doing! 6. Act it out: You can turn stories into plays that can be acted out, complete with silly voices! 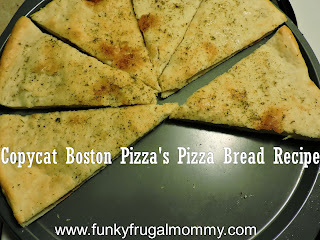 This is another way to engage with words in a fun and entertaining way. There are countless opportunities to make reading fun for your budding reader—have your child read you recipes while cooking and the instructions when setting up to play a game. Incorporate any of your own ideas for unconventional ways to get your child excited about reading! 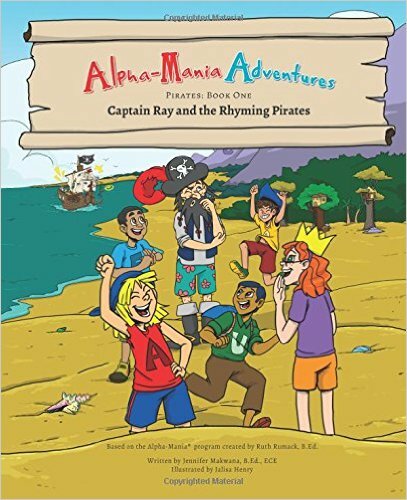 Ruth Rumack is the founder of Ruth Rumack’s Learning Space and the creator of The Alpha-Mania Adventures Series, now available on Amazon, alpha-mania.com, and Ruth Rumack's Learning Space. 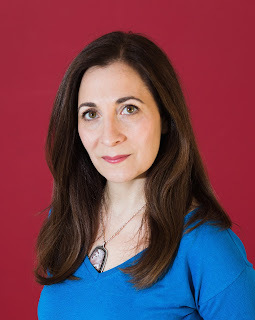 For more information, connect with Rumack on her website and the series' site, as well as Rumack's Facebook, LinkedIn, Twitter and Instagram. From producer Lorne Michaels (“Saturday Night Live”) comes the outrageous new comedy about family, friendship and fish. 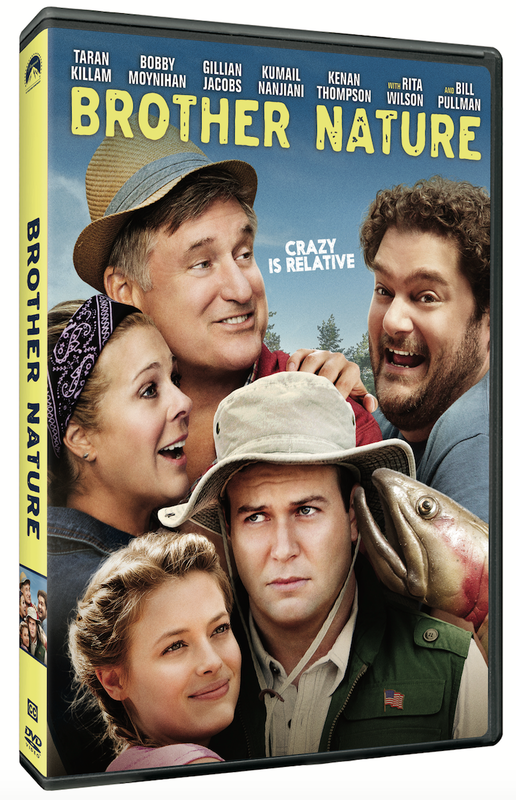 BROTHER NATURE arrives on DVD December 13, 2016 from Paramount Home Media Distribution. 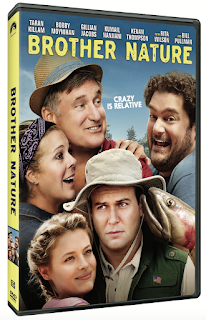 With a screenplay by SNL veterans Taran Killam and Mikey Day, and story by Cameron Fay, BROTHER NATURE features an outstanding comedic cast including Killam, Bobby Moynihan, Gillian Jacobs, Rita Wilson, Bill Pullman, Sarah Burns, Rachael Harris, Kumail Nanjiani, Kenan Thompson and David Wain. Roger (Killam), a straight-laced politician, has big plans to propose to his dream girl (Jacobs) at her family’s lake house. But everything goes awry when he meets his potential brother-in-law Todd (Moynihan): a full-time camp counselor with a heart of gold and a wild sense of fun, pining to be Roger’s best friend, and ultimately catapulting him into a series of unfortunate events. As Roger tries to take a stand amidst outrageous fishing excursions, propulsive water jetpacks and American history-themed musicals, he realizes that being a part of a new family may be more difficult than he’d thought. The BROTHER NATURE DVD is presented in widescreen enhanced for 16x9 TVs with English 5.1 Dolby Digital, French 5.1 Dolby Digital, Spanish 5.1 Dolby Digital and English Audio Description, as well as English, French and Spanish subtitles. Insurge Pictures presents a Broadway Video production: “Brother Nature.” Starring Taran Killam, Bobby Moynihan, and Gillian Jacobs with Rita Wilson and Bill Pullman. Music by Mark Maxwell. Costume designer Julie Carnahan. Edited by Kelly Lyon. Production designer John Lavin. Director of photography David Robert Jones. Executive producers Erin Doyle, Sam Grey, Hilary Marx and Jenny Hinkey. Produced by Lorne Michaels. Story by Cameron Fay. Screenplay by Taran Killam & Mikey Day. Directed by Matt Villines and Oz Rodriguez.